If your partner’s complaining about your snoring and you feel tired no matter how much sleep you get, you may be one of the 18 million Americans who suffer from sleep apnea. Sleep apnea is a severe and sometimes life-threatening condition, but you can find a solution at Weishaar & Weber Dentistry. Located in Spokane Valley, Washington, the dental practice offers custom-fit oral appliances to reduce your sleep apnea symptoms. Call Weishaar & Weber Dentistry today to schedule your appointment. You can even book online. Sleep apnea occurs when your breathing suddenly stops for brief periods of time when you’re sleeping. It often impacts the quality of your sleep and can cause loud snoring. Because sleep apnea impacts your quality of sleep, you may also notice that you’re excessively tired or suffer from attention problems. This lack of sleep can make you more irritable than usual. Are there things you can do at home to improve sleep apnea? When you have a mild case of sleep apnea, your dentist may recommend a few behavioral modifications to improve your condition. Simple things like changing your sleep position can alleviate symptoms, as can losing weight and getting 30 minutes of daily exercise. If you smoke cigarettes, your dentist recommends quitting. Avoiding alcohol and other medications that have a relaxing effect can also improve sleep apnea. In some cases, your dentist may suggest a saline nasal spray to help keep your nasal passages less congested. When you see your dentist at Weishaar & Weber Dentistry for sleep apnea, they may recommend wearing an oral appliance to keep your throat open. Most of these devices work by bringing your jaw forward when you sleep. That can alleviate snoring and improve your night breathing. There are multiple apnea oral appliances, and your dentist may suggest trying more than one to see which gives you the best results. Most are custom-fit devices that resemble mouth guards. You wear these appliances only at night to keep your throat open. In some severe cases of sleep apnea, your dentist may advise you to consider surgery. If you’ve tried traditional continuous positive airway pressure (CPAP) therapy and struggle with your CPAP device, talk to your dentist about an easier solution for sleep apnea. 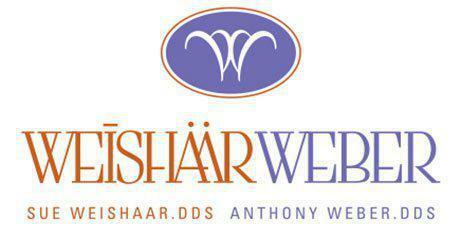 Call Weishaar & Weber Dentistry to schedule your appointment or book online now.